An Interiors company based in Gurgaon. With craftsmanship lying at the heart of everything we do, we create award winning home and office refurbishments. Call us today for your free quote and find out the difference. 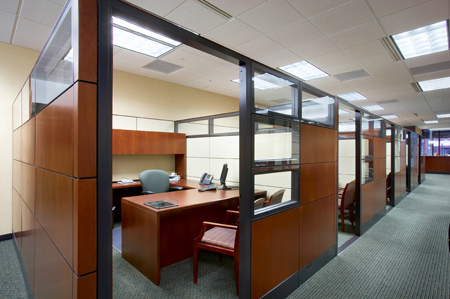 If you want to create some separate spaces for every employer you can choose this decorating idea for this. Depending on what you want, you can mix or choose different colors for walls. For example, if you want a plus of creativity for them you can make this a world of warm colors, like azure, bon-bon pink or why not, luminous green. A bright room can inspire seriousness but also creativity if you will take care about two important aspects: the brightness level and the number of objects from the room that may distract the attention. Summarizing this in a single word, we can tell you that the secret is to keep it as simple as you can. The gray nuances also will improve the thinking capacity and the straight lines will induce them the practicality idea. 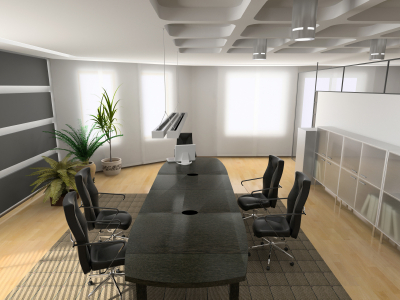 Here is a collection of stylish and modern interior decorating ideas for your office. Some of them can be cheap while they are truly good looking and innovative. For a better combination and aspect you can choose also a modern color, like black, grey, purple, for the walls or unexpected combinations. This trick will help you make not only a modern office to work for your employers but also, psychologically speaking, will be a way to stimulate their efficiency and creativity.